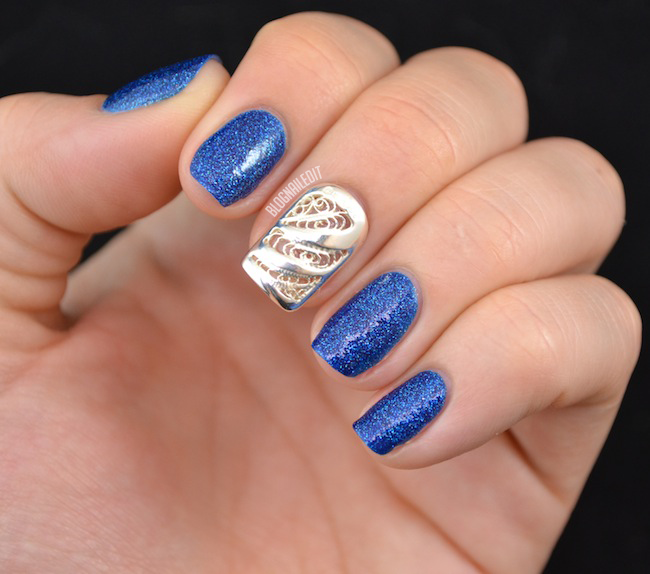 I'm always on the lookout for something new, something interesting as it relates to nails. Let me tell you...these are it! 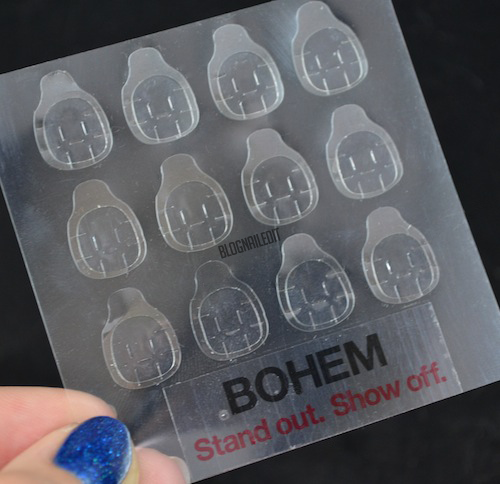 I'm reviewing BOHEM nail jewelry tonight, and if you follow me on Instagram, then you're great. And you also saw a sneak peek of these fantastic pieces of solid silver. Check it out! BOHEM nail jewelry pieces are certifiably crafted from gold, silver, or platinum. They're the real deal, stamped by the Birmingham Assay Office. Because of this, you'll pay the price (my set is £38 which translates into roughly $60). I honestly love these though, so I'm recommending you grab a set. I'm a thrifty lady, but I can honestly not say anything bad about these. EDIT 8/22/13: A reader was worried about the sizing of these pieces, and one of the most beautiful thing about this product is their sizing guide, which I used to determine which size nail jewelry to order. Using the instructions on their site to ensure you print the right format and size, you can easily print out their sizing template, cut out the sizes they have, and then place them on your nails to ensure you order the correct size. This is downright brilliant! All day I wore them around, washing my hands, typing, pulling my fingers through my hair, writing, and even performing a mani from start to finish in nail tech school. They encountered soap, water, oil, lotion, acetone, and alcohol (the rubbing kind). They held on tight. Each piece is adhered to your nail via a piece of glue tab that comes with the set. Each set comes with 24 tabs, which is enough for 12 wears. Replacement tabs are available for purchase as well, so if you run low, you can order more. To apply them, first adhere the tabs to the back of the jewelry. Real press it down to ensure it doesn't pop off unexpectedly. I used a pencil to roll the glue tab into all available surface area. Then, after dehydrating and buffing your nail, press the piece onto your nail. Hold it there for three minutes to ensure a good seal. When you're done, make sure not to pull on the piece or get water on that finger. The piece has a wear-time estimate of 24 hours. I am happy to report that number is true, and like I said, that was with normal wear. I may have coddled my middle finger a little more today than usual, but it took an average amount of wear and tear. I also kept tapping it on anything glass or ceramic to listen to the fantastic noise it made. I wear ridiculous patterns on my nails all the time, but these got more attention than anything I've done in a while. People were shocked to hear it was real silver on my fingernail. Another pro of these is that you don't need to purchase anything extra. Just buff your natural nail with the included buffer, use the glue tabs, and voila! Are you as smitten as I am? Would you pay that much for these? I'm happy to answer any additional questions you have. 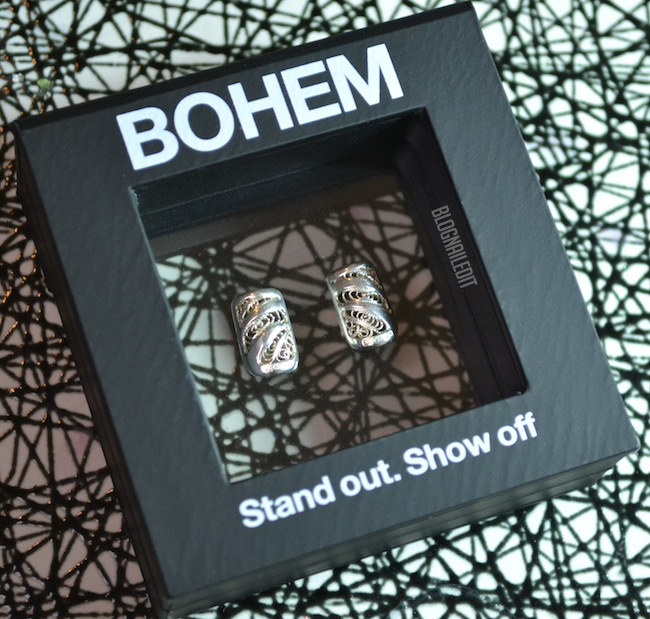 Get your own set at the BOHEM nail jewelry store online. These products were sent to me by BOHEM. The reviews are based entirely on my experience with the products and were in no way influenced by anyone. How fun is this?! It reminds me of those nail rings which where hot half a jear ago. I totally like these ones better! Oh my oh my oh my! I haven't been this excited in a while! :D This looks absolutely fantastic, I adore the idea and the motto of the company! It looks amazing! It's very interesting, but I wouldn't drop that much money on them. I'll just wait for our good friends from PRC to make good dupes... that I won't shiver at the thought of losing. Wow, this is awesome! I want some! Wait so even though it "only" stays on for 24 hours, you can always just use a new glue tab and use it again? Exactly! The glue tab's durability is 24 hours, but the actual piece of jewelry last as long as regular sterling silver jewelry. Oooh, one more question! Does your own nail have to be the same size as the jewelry or can your own nail be shorter? Your nail can definitely be shorter. You can cut the glue tabs to make them smaller if your nail is smaller than them, but just make sure that glue doesn't get all over your skin. I can see that being uncomfortable. My nail was shorter than the jewelry piece I tried. This is just amazing! beautiful! Ooh this looks amazing! but only 24 hours? what does it mean? aren't they re-usable? 60 bucks for a day, sounds like too expensive for anyone I know. The glue tab's durability is estimated to be 24 hours. The jewelry will last as long as any other sterling silver jewelry. I really love the concept but wonder how well they work with longer nails or nails that don't have a standard sized curve to them. I've edited my post now, but they offer different sizing that you can match up using their sizing guide. And there are lots of different styles of nails, from lengths varying short, nubbin sized to long claws. So the length really won't be an issue. The curve of your nail could be a factor though. My nails' C-curve gets pretty intense the longer they grow, so the nail jewelry didn't lay completely flush. The glue tab keeps it snug though, even if you pull strands of hair between your nail and the jewelry. This is so neat! I literally saw things like this last night on instagram. I would love to try these out too! But I wouldn't spend that much money.. I would REALLY have to think about it haha. 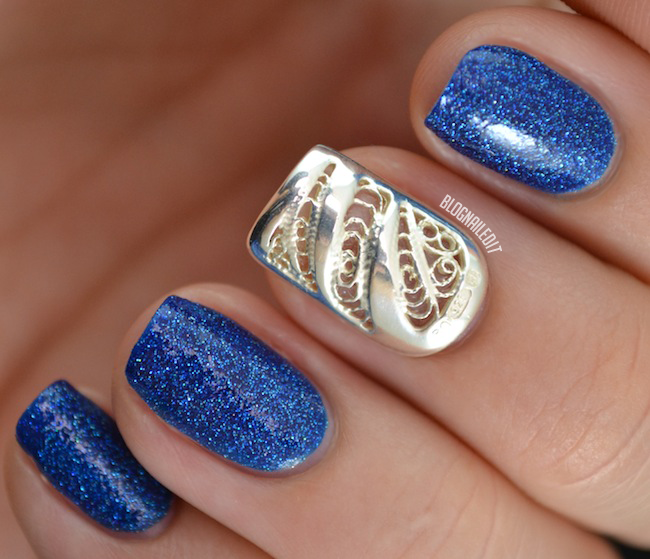 Your nails look awesome though :) Thanks for sharing! Wow how cool! Are they pretty thin or noticeable heavy? They're neither thin nor heavy. They're rounded off on the edges too, so they're not sharp. The polish is Azature Blue. Wow! These are SO pretty.. I am putting this on a wishlist! When they come off, do they just pop off or do they slowly start slipping off the nail? Are they prone to get lost?